This year, Drop4Drop is widening its scope in Africa, where it’s estimated that over 345 million people currently lack access to clean water. We are primarily looking forward to building more water projects in the nations of Tanzania, Malawi and Zambia. Large areas of Tanzania are semi-arid, experiencing low rainfall and only short rainy seasons. The vast majority of the population are forced to rely on poorly situated wells that draw from groundwater often contaminated by chemicals from the toxic drainage systems of pesticide-heavy agricultural practices. Many communities are therefore forced to collect surface water that sits stagnant in small ponds and ditches; water that is frequently riddled with bacteria and human waste. Given the poor quality of the available water sources it is unsettling, yet unsurprising, that water-borne illnesses account for over 50% of all diseases affecting the Tanzanian population. Even more disturbingly, it is estimated that at least 88% of all infant deaths are related to diseases transmitted through dirty drinking water. Unfortunately, even these harmful water sources are not easily accessible. 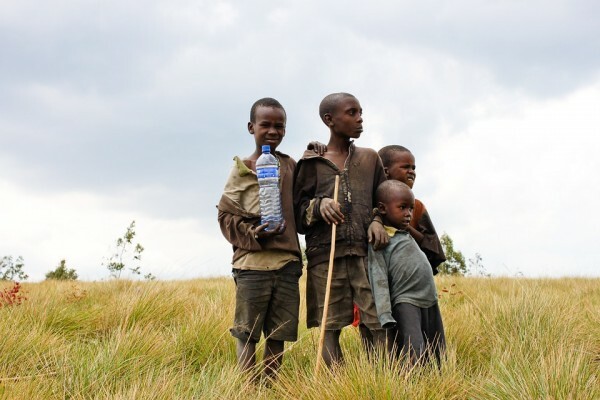 It is estimated that in rural Tanzania people face a daily walk of approximately 3km to collect water from their nearest source, followed by a further 3km carrying the water back to the family. It is most often the responsibility of the grandmothers, mothers, and daughters of the household to make these arduous walks to fetch water. Spending hours alone and in the open, they are put at a significantly increased risk of gender-based violence. These tedious hours of walking are a huge time commitment, taking up valuable daylight hours that could better be spent in school or work where they would be helping to build brighter futures for themselves and their entire community. Malawi is one of the least water privileged nations in the world and this is most evident when we consider the nation’s access to improved sanitation. Statistics compiled by Unicef indicate that 47.1% of the population did not have access to improved sanitation facilities. This equates to 7,171,829 people living without access to facilities that hygienically separate human excreta from human contact. 16.3 % of Malawi’s population are forced to drink from unimproved water sources which are significantly more prone to disease and dangerous microbes that can attack the immune system and cause overall damage to health. It is necessary to point out that those without access to improved sanitation are those who are most likely to be drinking from unimproved water sources; the consequences of this are that water-borne diarrhoeal diseases are one of the three leading causes of infant death in Malawi. Agriculture accounts for 80% of export revenues from Malawi. The ramifications of this are that more and more water is diverted away from sanitation towards the production of cash crops. With an increase in deflationary pressures to some of their staple markets, such as Tobacco, this has led to an increase in the production of crops in order to yield the same revenues as previous years. With the greater production of Tobacco comes greater water usage and those that are poorest subsequently have their water siphoned away. The consequential increase in pesticide usage and a lack of knowledge concerning the impact of their use on water ways means that agricultural run off damages what palatable and safe water sources do exist, further driving down their accessibility. As a landlocked country Zambia, like much of sub-Saharan Africa, is still reeling from the effects of the drought caused by El Nino two years ago. A staggering 4.8 million people – over a third of the population – currently live without access to clean, safe drinking water. Many are forced to draw water from one of Zambia’s polluted rivers which are known to be infested with black flies that harbour the roundworm which cause Onchocerciasis (otherwise known as River Blindness). The rivers are also home to disease-carrying snails that cause diarrhoea, fever, vomiting and blood in the urine. If communities are unable, or unwilling, to draw water from these rivers, they are often forced to use scoop holes (shallow wells dug in the ground), springs, or streams fed by groundwater as a means of securing drinking water. Unfortunately, the quality of the groundwater is compromised by chemical contaminants, such as arsenic and nitrate, from the mining and mineral processing that makes up the basis of Zambia’s economy. Much like Malawi, over half the population of Zambia (approximately 6.6 million) also live without access to adequate sanitation. Poor sanitation has an adverse effect on school attendance, especially for girls. The lack of adequate toilets and washing facilities force many girls to miss school on a regular basis, inhibiting the progress of their education and leading to higher drop out rates for girls than boys. In a country where it is often girls who are too exhausted for school after walking many miles every day to collect water, this is a significant problem. These reasons (and many others) are why Drop4Drop has turned its attention to Tanzania, Malawi and Zambia in an effort to help improve the situation. Not only are we focused on the provision of safe and clean drinking water but also on the sanitation aspect of water provision, which is too often overlooked. With projects dedicated to building, developing and maintaining improved water sources we have also started laying down the foundation for the provision of latrines and other safer forms of sanitation in an attempt to curtail worrying downward trends occurring in these nations. We believe all people should have access to improved sanitation facilities and improved drinking sources.